A week or two back, I wrote about the green side of peanuts. Kabir Arora read the post and sent in this report about another aspect of green agriculture: millets. Millets matter not just because they are good for you, but because they use less water and are more resistant to the affects of climate change: heat, drought, flooding, etc. For that reason, it's good to have Kabir's report, and I would love to run more on the subject by people who know more than me. 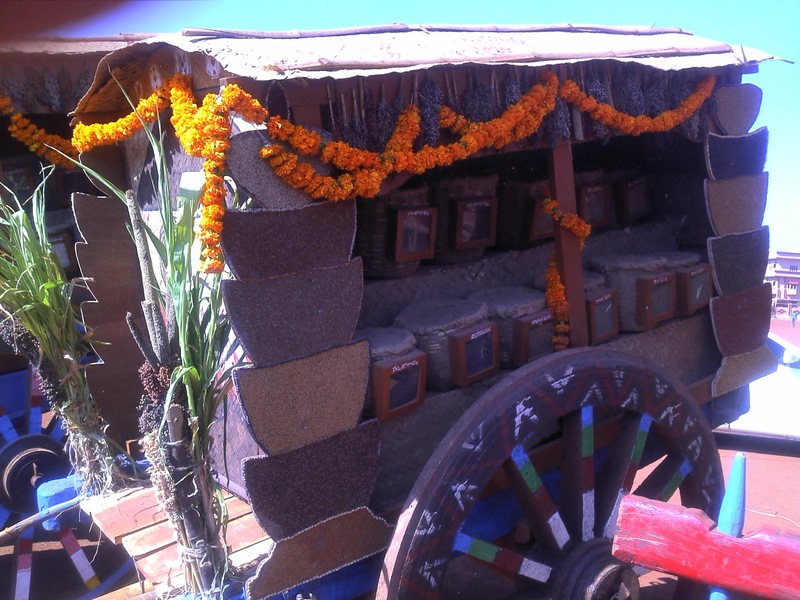 Here are some photographs from the Millet festival organized by Deccan Development Society and Millets Network of India in Medak Andhra Pradesh recently. 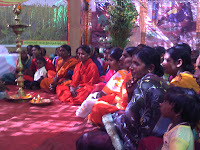 Millets are considered to be the most nutritious cereals which can be grown in any climatic condition. They are drought resistant and at many places flood resistant, need minimum investment. With the spread of Green Revolution, millet cultivation was discouraged both by the government and society. 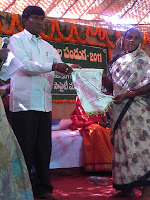 But still Indian population is largest producer and consumer of millets. All over India millets are grown in rain fed areas with minimum use of chemicals-in other words they are a part of Organic Sustainable Agriculture. 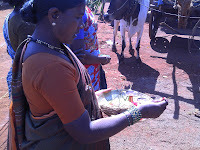 Mostly, millets are grown by Dalits, Adivasis and women. 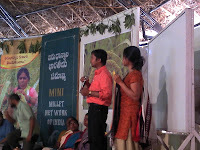 So they are the key for their empowerment. 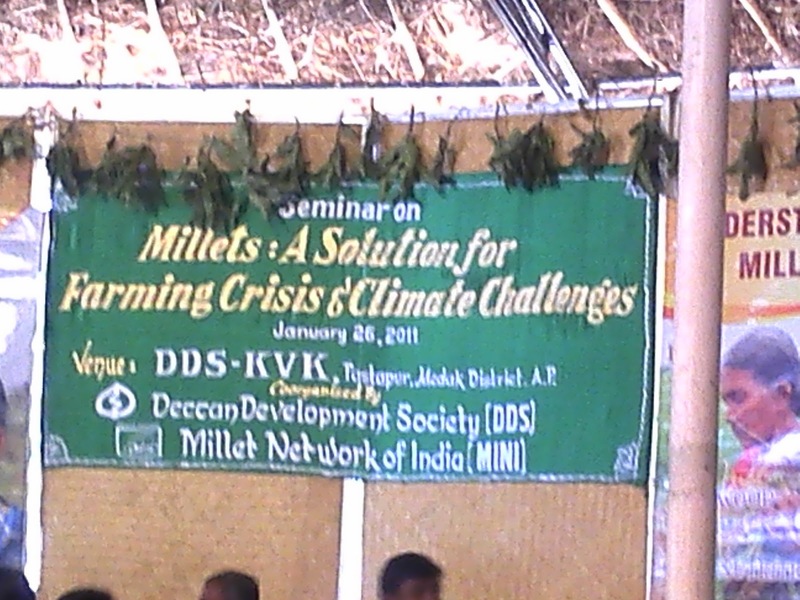 The Millets Network of India and the Deccan Development Society are working for the promotion of Millet Farming. 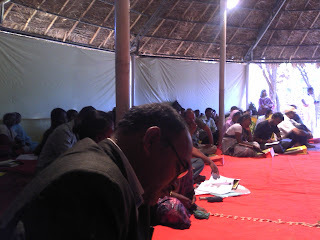 Because of their constant lobbying with the government, millets are going to be included in "Food Security Bill", that is the only positive thing of the bill. 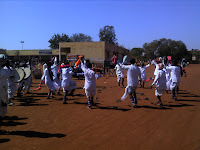 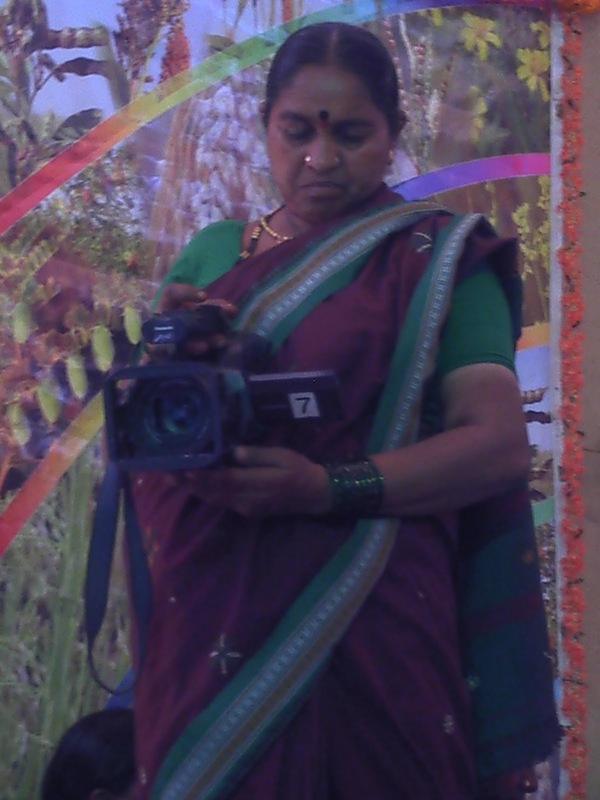 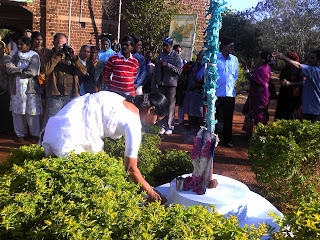 A couple of weeks back, they they organized the festival to celebrate the heritage of millets. 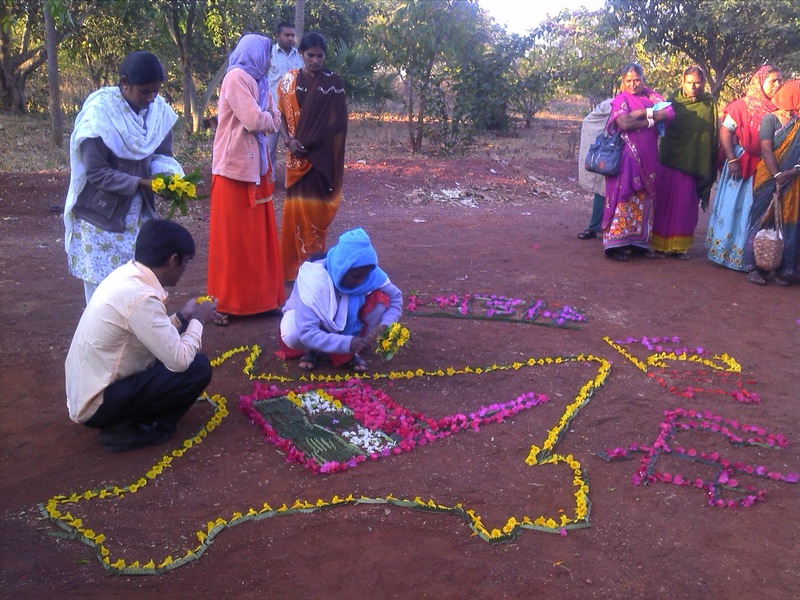 People from all over India participated. 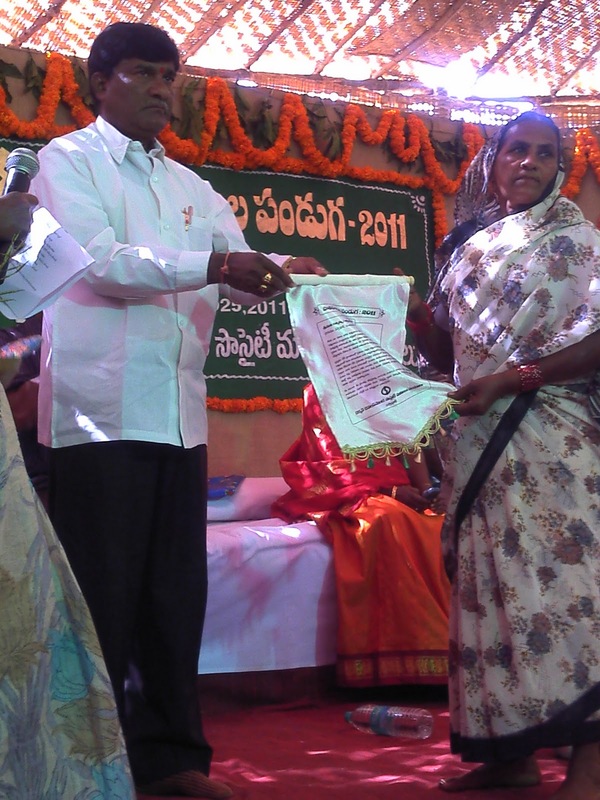 Views like Medak for Millets, Organic agriculture is just a tool, food security is the goal were put forth. 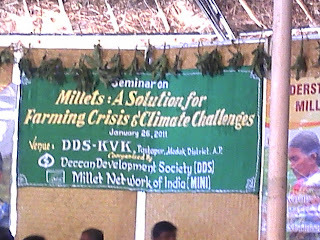 For more in formation information about organizing for millets, go to the website of the Deccan Development Society. 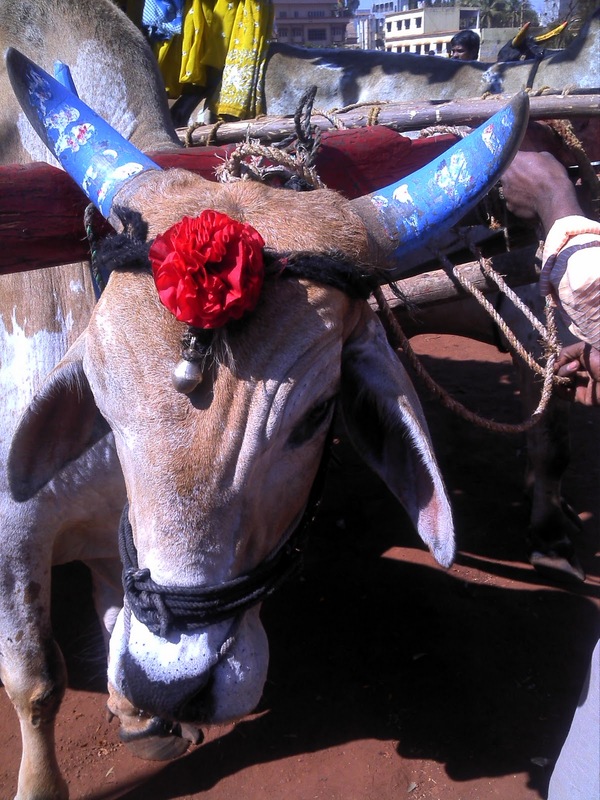 For more on food security, check out the dhaba's food security page.